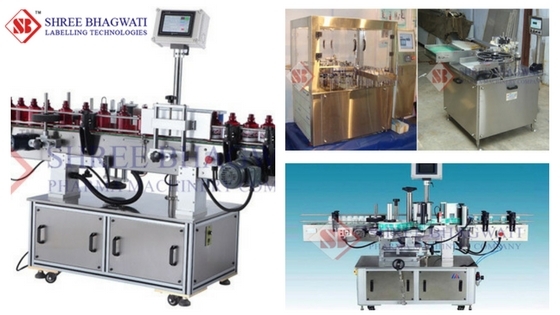 The ampoule sticker labeling machine delivers a labeling accuracy of less than 1mm. It has an incorporated logic control unit used to store and retrieve production data on the machine. Ampoule labeller is equipped with servo motors sourced from renowned manufacturers around the world. The sticker labeling machine for ampoules can deliver up to 300 labels per minute. It is also firm and robust in construction to eliminate any vibration and enhance accuracy during operation. With this model of the machine, there is no down time occurring when changing between labels of different sizes. There speeds of the conveyor, label dispenser, and the pressing device are well synchronized for efficient operation. The machine is also maintenance free and easy to adjust the dimensions as per the different label sizes in process. The top labeling machine is carefully designed to meet all the performance requirements and meets the performance requirements. The top labeler Parts are made from high grade raw materials including a sturdy stainless steel frame for strong support of the equipment. It works on various types packaging material therefore ideal for most industries including cosmetic packaging, health care products, retail food, baked goods and even beverages. The top labeling equipment is easy to set up and run, as well as integrate into other production lines. In summary, the equipment is dependable, consistent and versatile in usage. It also has good energy saving features.